Back to School @ Your Library! 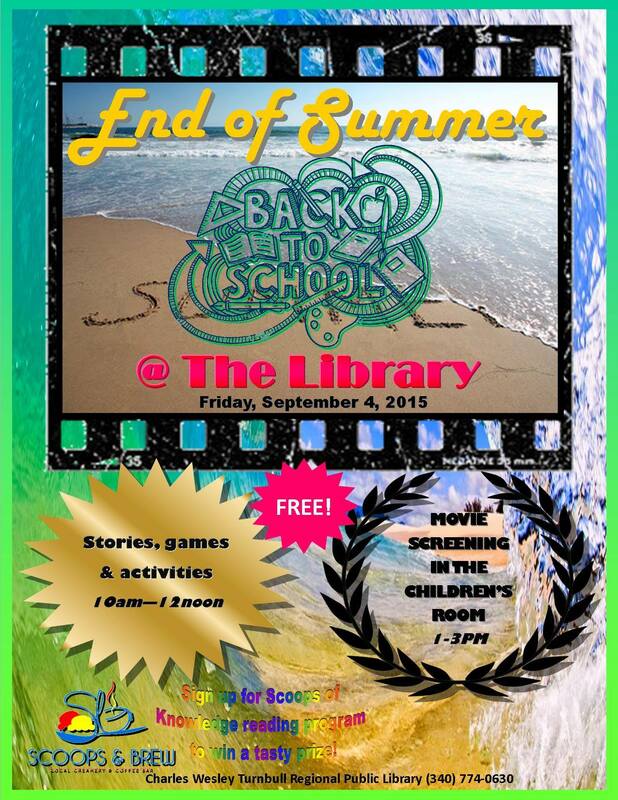 The staff of the Charles W. Turnbull Regional Library will be hosting a Back to School event for youngsters in the community on Friday, September 4, 2015 beginning at 10am with story telling, games and activities until noon, followed by a movie screening in the Children’s Room from 1-3pm. Co-sponsors Scoops & Brew invites children to stop by and sign up for the “Scoops of Knowledge” Reading Program and a chance to win a tasty prize! Admission is free to all. Keep up with USVI Library Events on Facebook.